Warmer seasons are slowly starting to creep up on us, which only means one thing: serious tanning prep! 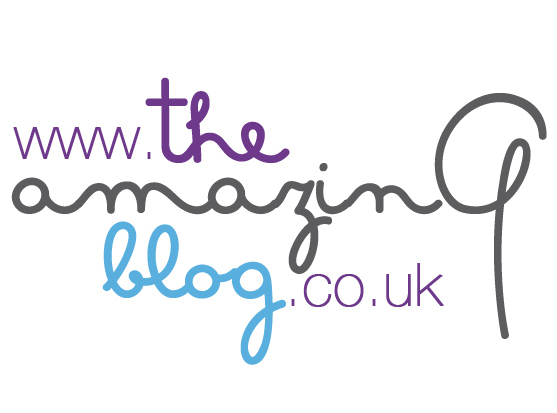 Here at The Amazing Blog, we are big fans of fake tanning and believe that everyone should be a little bit bronzed. So, we have come up with a few products to get you looking tip top in time for the summer. It’s essential to prep your skin before applying your tanning lotion, and Kissed by Mii has got you covered. By using Seriously Smoothing Exfoliator and Moisturiser, you will be prepped and ready for a streak free and even glow. Prepare your skin by first using the exfoliator. Getting rid of dead skin helps create a smooth and flawless tan while also removing any tan left over from a previous time. After using the exfoliator, the Seriously Smoothing Moisturiser will hydrate and prime your skin for a longer lasting glow. Paying particular attention to moisturise dry areas such as elbows and knees will help you avoid uneven spots. Your skin is now ready to receive the Effortlessly Easy Tanning Mousse - Delicately Light. This blend of red seaweed, green algae and coral seaweed, will be perfect for the first-timers. With a light and airy texture, easy to apply and very fast to dry, the mousse will give you the perfect flawless tan in 6-8 hours. We particularly love its fresh marine scent which remind us our long walk along the seafront. To get ready for the maximum glow, check out the Seriously Smoothing Exfoliator here for £12.95, the Seriously Smoothing Moisturiser here for £13.95 and the Effortlessly Easy Tanning Mousse - Delicately Light here for £23.95. Benefit has just created a great range to give you that enviable summer glow, and we were excited when they sent us the newest members of their bronzing line, Hoola Zero Tanlines and Dew The Hoola, launching tomorrow (March 12th)! The Hoola Zero Tanlines will give you bronzed skin for up to 12 hours, streak free! Apply all over the body for instant colour with the hands free sponge applicator. It gives you an even tan while avoiding orange hands. We also adore the subtle beachy fragrance that lightly sticks on the skin. Once we have tanned our bodies, we can use Dew The Hoola liquid bronzer for a lightweight, natural, and shimmerless glow on the face. The liquid bronzer is perfect for year-round because of its soft-matte finish and seamless blending ability. You’ll look and smell like you’ve just returned from paradise. ‘Hoola your way to a beachin bod!’ Get Hoola Zero Tanlines here for only £19.50, and Dew The Hoola here for £22.50! There is nothing worse than waking up in the morning after carefully applying your tan to find that most of it has come off on your bedsheets. With Bronzie to save the day, that can now be a thing of the past. The onesie is designed to keep and protect your fake tan; you can say goodbye to streaky legs and a stained bedsheet. Here is how the Bronzie system works: the fabric is made from a lightweight versatile material which has been specially designed to glide over just-tanned skin. It features underarm mesh knit panels to ensure that your skin can breathe. There is a velour hood for added comfort as well as an asymmetrical zip to allow you to ease your body in and out, so you have minimal contact post tan. The Bronzie is designed to be worn everywhere: the salon, the shops, around the home, and to bed—making it the ultimate lounge wear. Available in Gold label or Classic; look gorgeous and have a streak free tan by getting your Bronzie here for £34.99. Here at The Amazing Blog, our Mums are the most important women in our lives. Every year, we try to take advantage of Mother’s Day to show our Mums just how much they mean to us. We know you’d like to do the same, so to help you out we’ve come up with a few ideas for you to show your appreciation. Delight your mum with a three-course menu for brunch this Sunday. South Place Hotel is offering a specialty menu for Mother’s Day Brunch from 12noon - 4pm. The event features the best of British seasonal ingredients, with dishes like fillet of stone-bass, honey-glazed chicken wings, and celeriac risotto with a wild mushroom sauce. Alongside this scrumptious meal you’ll be entertained by live jazz from the Audioguide trio. South Place is also offering a complimentary neck and shoulder massage for mums, plus a hand-picked goodie bag of treats from the hotel’s partners including Butterfly and the Bee, East Wick, and James Heeley. The Mother’s Day Menu at 3 South Place is available for £30. Visit the website here for more information and to see the full menu. Is your Mum the classy, fashionable type? Does she enjoy DIY projects as well? If that’s the case, Mother’s Day might be the perfect opportunity to surprise her with a voucher for a four and a half hour hat making masterclass at Katherine Elizabeth Millinery. You and your Mum will love soaking up some of award-winning Katherine Elizabeth’s skills and techniques, and you’ll walk out with a few new headpieces as well! The classes are taught on Thursday evenings and some Wednesdays depending on availability from 4.30pm - 9pm. See here to purchase a voucher for a Katherine Elizabeth Masterclass at a discounted price of £48. We think that there is nothing better than to give our Mums an orchid plant – it is a symbol of love, luxury, beauty, and strength. Not forgetting to mention that compared to roses or cut flowers, Orchid plants will last for weeks. Try ordering some flowers from Orchidya, the only florist in the UK that’s dedicated to the exotic blooms. Historically, orchids have been imported overseas to UK suppliers, making it difficult to create larger arrangements. However, this isn’t a problem for Orchidya, as the majority of the orchids are grown right in their glasshouse in Lincolnshire. Having this UK based supply means Orchidya is free to be more creative while being priced competitively. If you’re interested in picking up some flowers for Mother’s Day, visit the shop in Bloomsbury or visit the online shop here. Here at The Amazing Blog, we absolutely love fashion and we're always on the lookout for new and innovative styles to keep us warm and stylish in the cold months ahead. We're going to give you a little January treat and give you an insight of our season must-haves from Wada Bags, Helen Moore, EKA, and L&S Prints this season. The perfect winter essential to keep you warm in these cold evenings is Wada Bags, Rabbit Fur. Perfect to team up with an evening dress for a night out to dinner with your friends, this luxurious shrug is soft and comfy as well as keeping you warm and snug. Available in a variety of colours such as Black, White, Silver and Cream you can get yours here for £200. 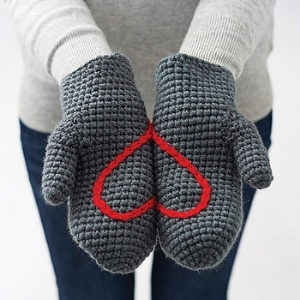 For a cute touch to your outfit, EKA have made Hidden Heart Mittens to keep your hands warm. If you cup the gloves together you will find hidden on the palms of your hands is an embroidered heart design. A great gift for your children, partner or yourself, these mittens will certainly come in use during the next month. Made from 100% vegan acrylic yarn, the mittens come in all different sizes and colours to give you that personalized feel. Get your cosy mittens here for £26.80 available on Not on The High Street. It’s no secret that we love a quirky item to finalize that outfit and this Banksy Scarf from L&S Prints Banksy collection is right up our street. The art of Banksy is well globally recognised and his vintage designs look very chic on this scarf. Made of chiffon fabric, this scarf is perfect for seeing you through those winter months and into spring. Grab your own for only £10.99 here. When you are out in the freezing cold you have to keep yourelf warm and your ears are no exception. Helen Moore has a gorgeous Snow White Faux Fur Hat which will keep your ears and head warm all whilst looking stylish. The passing will keep your head warm whilst the white fur will give extra protection for your ears. To get that fashionista look all whilst being cosy, get yours here for £48. Founded in 2014, Tom Cridland is an affordable and stylish range of menswear. It is something that I as the only chap at The Amazing Blog want to let all and sundry know about. Tom is also a bit of PR whiz, and has cleverly gained a celebrity following with the likes of Leonardo DiCaprio, Hugh Grant, Rod Stewart, Robbie Williams, Nile Rodgers and Ben Stiller. Not bad for a 25 year old modern languages graduate! Tom has built up his brand all on his own and on 14th January he launched in the Concept Store in the Kings Road, Chelsea - where his brand will be residing there for two months. There is more than meets the eye to Tom Cridland’s luxury menswear collection. The 30 year Sweatshirt has only recently launched this year, which is sustainably made with premium organic cotton crewneck, backed up with a 30 year guarantee. No wear and tear for 30 years? Almost sounds too good to be true. With the sweaters costing around £65 if by any chance your trusty sweatshirt gets a tear on the left arm, not to worry just send it back to the shop, they will repair and send it back, completely free of charge. It seems that Tom Cridland’s success is booming and we can only expect more from him in this year. What I particularly love are the organic cotton trousers at £89 (see above pic of Electric Blue pair) they are a good slim fit, the material feels soft they are a really affordable price for truly really luxurious product. Tom personally oversees all the designs and manufacture in Portugal so you know that the quality will be top-notch. Tempted? Then hurry over to Kings Road and check the new 2016 collection out for yourself, or buy a sweatshirt online here.